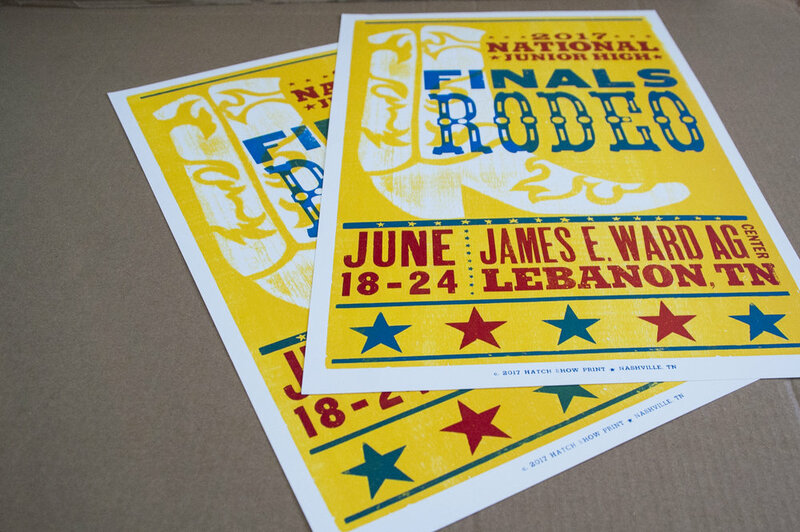 While working at Hatch Show Print I was able to design, type set, and print this three-color poster for the National High School Rodeo Foundation. They needed this particular job for their Junior High Finals. 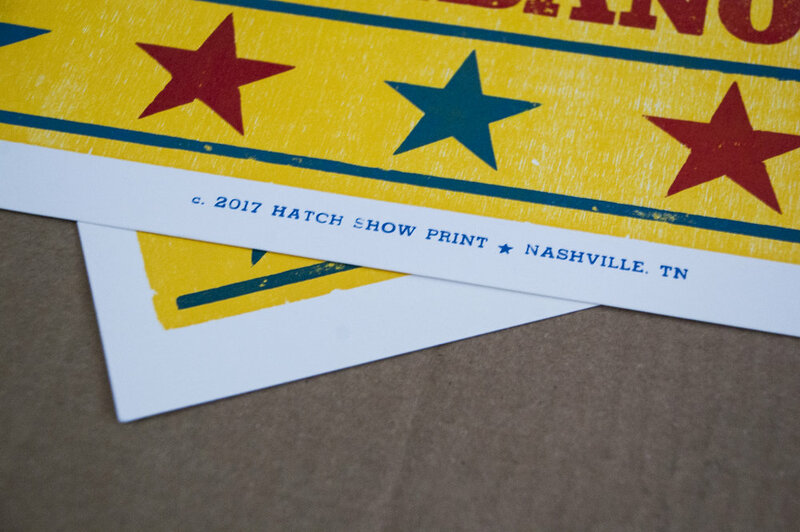 Because the audience was younger, I wanted it to look youthful while still having the traditional and rustic look of Hatch. I pressure-printed a hand-drawn boot stencil in order to achieve the look and texture of the yellow layer. The woodgrain of the block really comes through on the background. The type used to on "Rodeo" is a favorite of mine. It is one color of three-color chromatic woodtype set. The decorative elements were enough to add to the western feel of the posters without being overwhelming. It pairs with the yellow nicely. This client was so fun. Yeeehaaawww!